Max started this build with an R&R Vacuumcraft resin body, interior, and chassis. He added the chrome, hood, dash, steering wheel, etc. 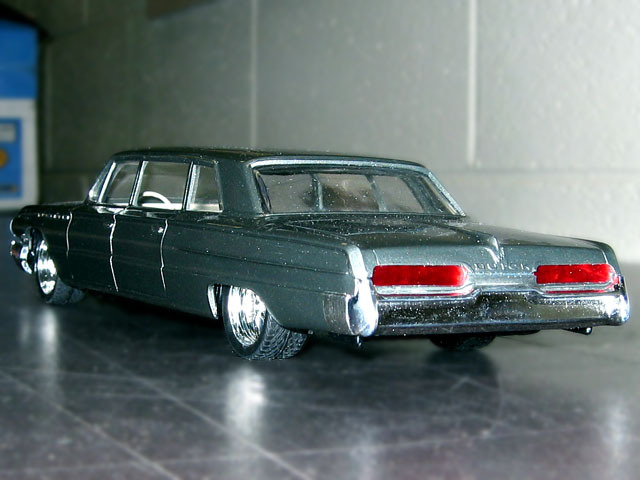 from an AMT/ERTL 1962 Buick kit. Max opted for a bright custom taillight treatment to accent the Sikkens urethane paint.